« Who Said It Never Snows in Heaven! Today’s post is unusually short. I conducted a one night photography class in “Low Light Photography” last night, then hustled home to watch the conclusion of the World Series, between our Kansas City Royals and the San Francisco Giants. Although the outcome was not what we were hoping for, it was a great game and the conclusion of a solid year of baseball where the young Royals team, like the above bald eagle, is transitioning into a mature, solid team of the future! 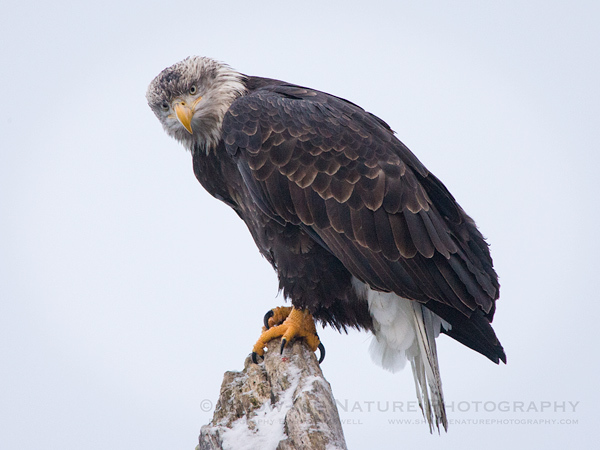 Tags: 2014, Alaska, Bald Eagle, behavior, bird photography, birding, birds, birdwatching, Blog, Chilkat River Valley, Inside Passage, nature, nature photography, photography, travel, winter.